Network neutrality—the idea that Internet service providers (ISPs) should treat all data that travels over their networks fairly, without improper discrimination in favor of particular apps, sites or services—is a principle that must be upheld to protect the future of our open Internet. It's a principle that's faced many threats over the years, such as ISPs forging packets to tamper with certain kinds of traffic or slowing down or even outright blocking protocols or applications. In 2010, the Federal Communications Commission (FCC) attempted to combat these threats with a set of Open Internet rules. But its efforts were full of legal and practical holes. In 2014, after a legal challenge from Verizon, those rules were overturned, and the FCC set about drafting a new set of rules better suited to the challenge. It was clear that the FCC was going to need some help from the Internet. And that’s exactly what happened. Millions of users weighed in, demanding that the FCC finally get net neutrality right, and issue rules that made sense and would actually hold up in court. EFF alone drove hundreds of thousands of comments through our online portal DearFCC. As a direct result of that intense public activism and scrutiny, in 2015, the FCC produced rules that we could support—in part because, in addition to the bright line rules against blocking, throttling, and paid prioritization of Internet traffic, they included strict “forbearance” restrictions on what the FCC can do without holding another rulemaking. Unfortunately, the FCC, led by a new Chair, repealed those hard-won rules just two years later, despite intense resistance from nonprofits, artists, tech companies large and small, libraries, even some ISPs, and millions of regular Internet users. What is worse, that repeal – via the ironically-named “Restoring Internet Freedom Order” -- ignored technical evidence submitted by EFF and others and showed a remarkable lack of understanding of how the Internet works. Restoring the protections given in 2015 will be a step forward, but it isn’t a silver bullet. ISPs must be open about how traffic is managed over their networks in order for anyone to know when there’s a problem. Local governments can also play a crucial role by supporting competitive municipal and community networks. When users can vote with their feet, service providers have a strong incentive not to act in non-neutral ways. We want the Internet to live up to its promise, fostering innovation, creativity, and freedom. We don’t want ISPs acting as gatekeepers, making special deals with a few companies and inhibiting new competition, innovation, and expression. Obama Touts Neutrality, But Can FCC Deliver? Warning of an FCC power grab, the digital rights group Electronic Frontier Foundation says the commission lacks authority to impose regulations. 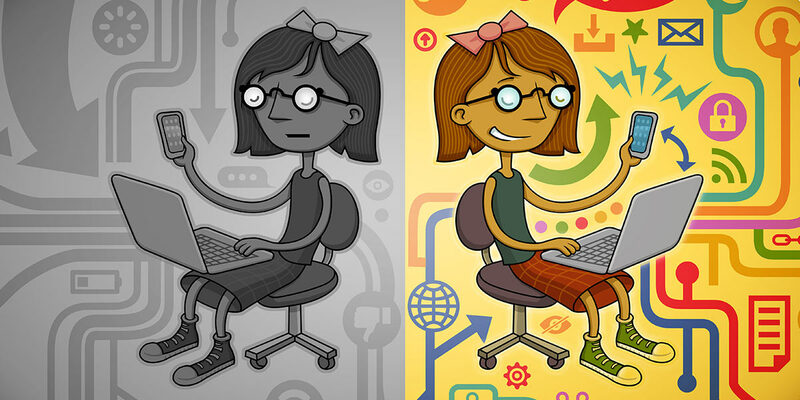 Read more about Obama Touts Neutrality, But Can FCC Deliver?